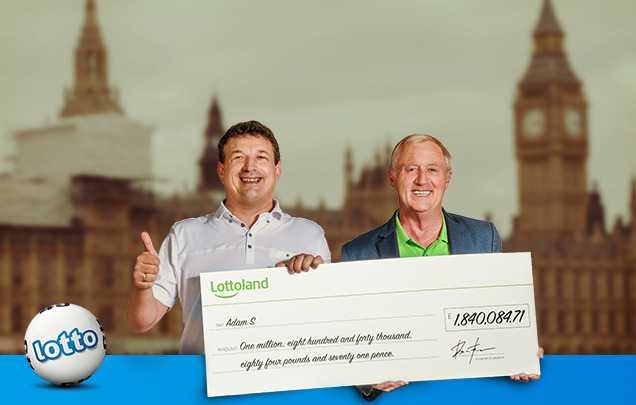 Lottoland's newest millionaire is Adam, a lorry driver from the Midlands, who just won £1.8 million on the Polish Lotto. He met, and was congratulated by, our resident millionaire maker Chris Tarrant at the winner ceremony in London. Later we got a chance to speak to Adam to learn more about him, how he felt about his win, and what his plans are for the future. The young boy who was fascinated by trucks and grew up to become a truck driver admits that, although being away on longer hauls can get lonely, he has enjoyed his life on the road. With his smartphone at hand he has also been able to enjoy betting on his favourite lotteries on the move and says he loves Lottoland for its simplicity and convenience. Doing the lottery was always just a bit of fun, he tells us. The idea that he might actually land a huge win was only ever a distant fantasy. So realising he'd won £1.8 million was quite a shock – and it took quite a while for the true magnitude of the win to dawn on him. It all started with a trip to the seaside with his wife. On their return Adam's wife decided to check their messages, emails, and so forth, and discovered an email from Lottoland congratulating Adam on his £1.8 million Polish Lotto win. 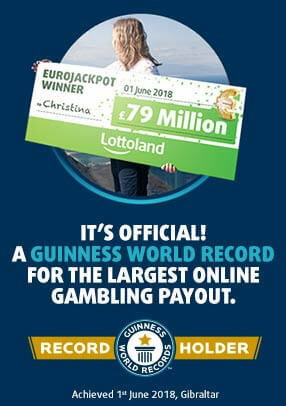 The couple were understandably shocked, but then sure enough a call came through from Lottoland HQ to verify the win and invite them to their winner ceremony in London. It was during this time, while being handed his ceremonial cheque by Mister Millionaire himself, Chris Tarrant, the full implications of the win finally hit. Adam suddenly realised that everything in his life had changed forever – and his win meant that now he could pursue his wildest dreams and make them reality. Though Adam is not a man for idle flights of fancy. When asked about his plans he was calm and pragmatic. A new home was first on his list, though he also liked the idea of owning an alpine lodge high in the mountains. He also suggested that he had been thinking of starting his own business. Hear that distant rumbling? That's the Lottoland juggernaut building up steam. Adam is just the latest of a series of winners we've had in recent months. We've had another Polish Lotto winner some weeks back, plus there was that week where we had three Polish Mini Lotto winners in the space of five days. Earlier in the summer we had two big winners in Brazil's Mega Sena lottery, a EuroJackpot player who won £500,000 and, shortly after the launch of our scratch cards, one lucky player scratched his way to winning a hundred grand! As we continue to make even further inroads in the UK, in the wake of our big UK rollout, you can expect to see more and more ever-bigger wins in the future. Perhaps our next big lucky winner will be you! Win Millions For Just 60p! Adam's massive £1.8 million win is all the more amazing when you realise that the lottery he won it on, the Polish Lotto, costs 60p per line. Though Adam is hardly alone. More and more Lottoland players are betting on the results of the Polish Lotto, which is drawn three times a week on Tuesdays, Thursdays and Saturdays – that means you've got three chances a week to win huge cash prizes like Adam done for just £1.80. You'll be hard-pressed to find a better value lottery to bet on anywhere else so if you haven't tried the Polish Lotto yet what are you waiting for? Here's your chance to become a millionaire like Adam – and all for the price of a packet of crisps! Polish Multi Keno – Multiple Ways To Win!